Where am I now? 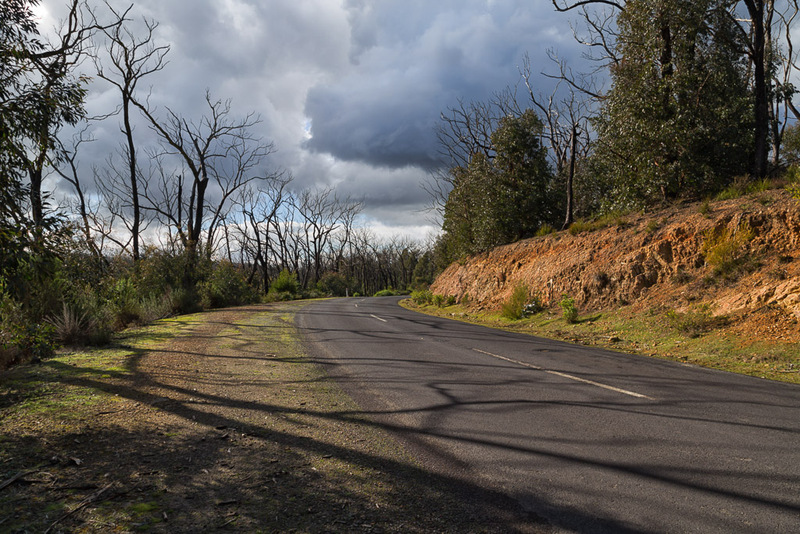 It’s July last year and on a wintry day full of showers and sporadic sunlight, I ventured up to an old walking haunt around Masons Falls, Kinglake. First things first though. I’ve thought a few times how to write this post, as I have mixed feelings about it. In order to explain, you’ll have to put up with an elongated background story. 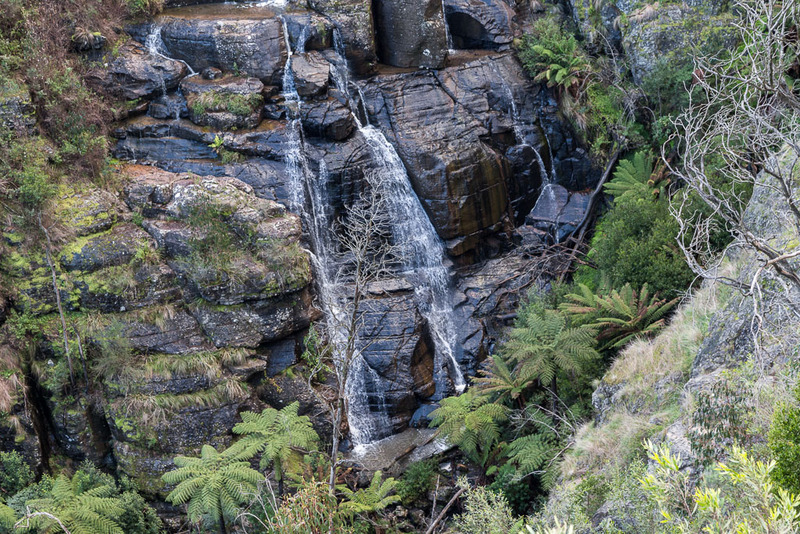 If I think about it, Mount Sugarloaf and Masons Falls, which is linked by the Running Creek Track, was my most visited outdoor area over a ten year period. This was back in the 1990s. 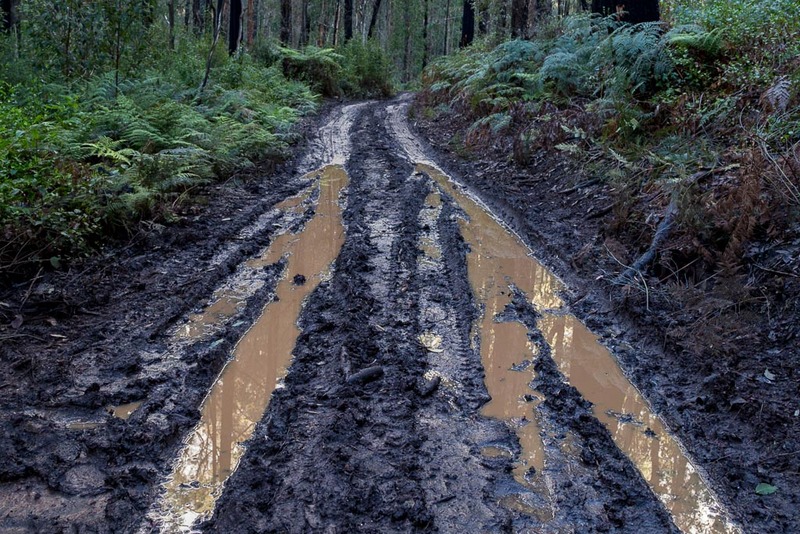 Back in my running days, I’d regularly visit to go for a run in the bush, as a change from my usual sobering jogs in suburbia surrounded by roads and traffic. It was always good and without fail, quite painful. Running anti-clockwise, the final climb up Mount Sugarloaf was a bit of a beast. In winter, the cold air would shred the lungs, as I gasped my way up trying to run as far as I could before having to stop. In summer, I’d carry a water-bottle and be empty before halfway. My fastest circuit was run during torrential rain, where I remember sloshing through cascades of water running down numerous gullies. 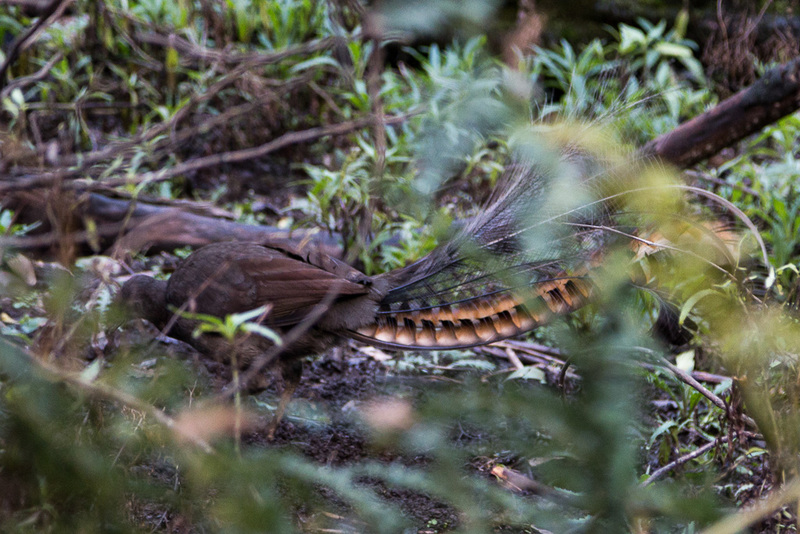 A long descent ended alongside Running Creek and then passed through tunnels of enormous ferns, which enveloped the track and careful steps were needed on the muddy and mossy ground underneath. You know what else? On nearly all my sojourns there, I only saw a handful of people, but on most occasions I had the entire place to myself. Once I was mortified to see the walk written about in The Age newspaper. Huh? Do I have to share?! Following this, I’d see the odd punter, but that soon dried up once the weather turned colder and I was free to trot along on my own. Then as my knees started to pack up and the running reduced, I didn’t get there too often. I’d also moved further away, so the resultant long drive was never very attractive. Mind you, once the running stopped, I tried my hand at cycling for about five years. Where was one of my 100 km rides? 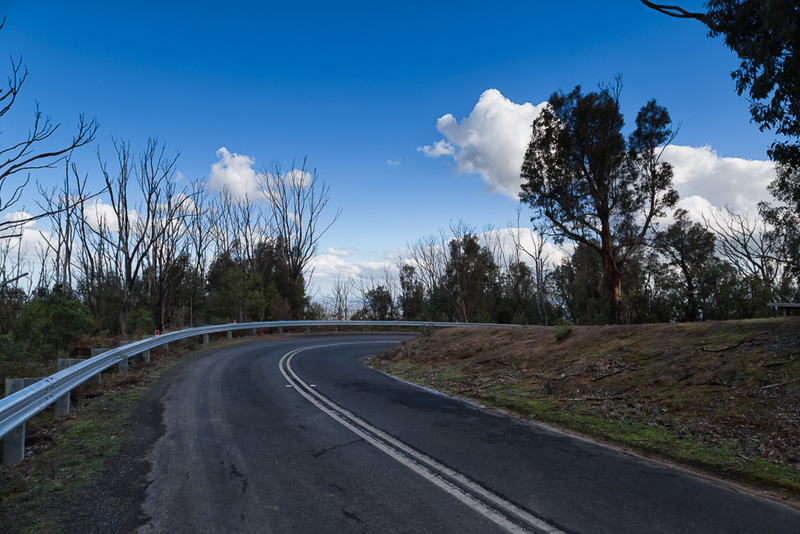 Well, up to Kinglake of course. I’d cycle into the park and ride up to Mount Sugarloaf, before returning. In winter it’s bitterly cold up there and I remember feeling the air temperature change, as I made the manic downhill ride back into Whittlesea. Oh yeah, I didn’t see a lot of those winding descents, as the wind would whip around my riding glasses, causing tears to form. All I’d do is hang on and tell myself not to crash, as this was the spot where I reached my fastest speed ever on a bike. 83 kph. I always thought of revisiting for a walk, but all that was put on hold in 2009. Weather, for the first time had given me the jitters during that hideous summer. Watching the news, I remember being slightly stunned when the next three days were forecast to be over 40 C. I’d never seen that before in Melbourne and I wondered, just what was going on with the weather? It continued of course, with barely a let up, until a week later and that mind bogglingly day of 46.4 C was unleashed. I was at Epping during the day and I remember seeing smoke up north. It wasn’t just any old smoke though. It was absolutely massive and as I drove home later in the day, I was listening to ABC radio describe the fire, which would become known as the Black Saturday bushfires. A merging of fires created a conflagration, which steam-rolled across the landscape. 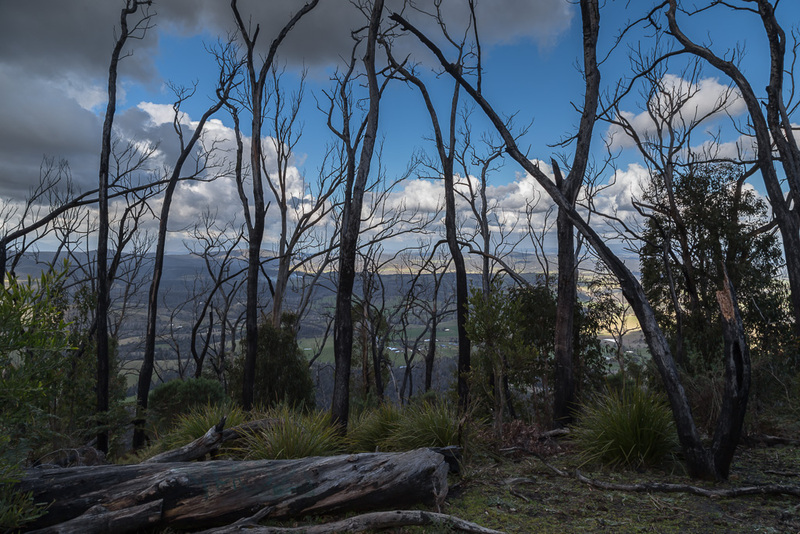 A late wind change sent the fires at a fearsome speed straight through Kinglake and beyond. That evening I was lying on my bed in stifling heat, listening to the radio and three things stick in my mind. Firstly, there was utter confusion. 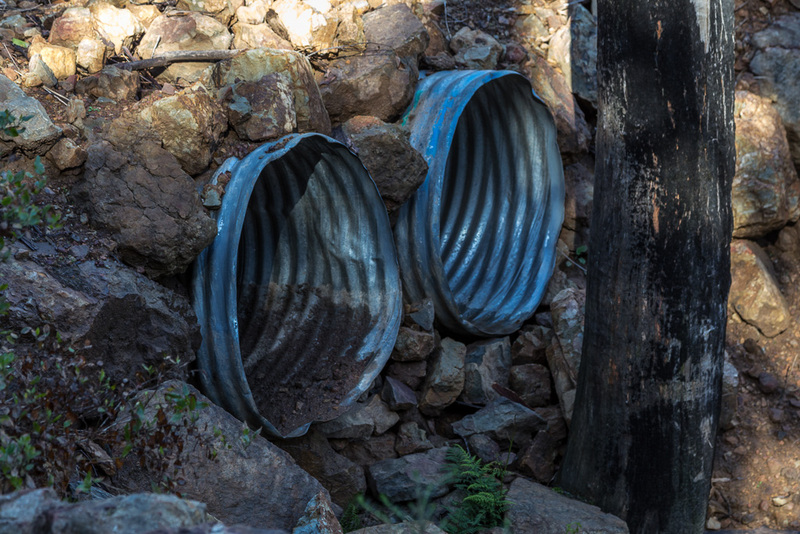 The announcer proclaimed the Kinglake residents were under threat and to enact fire plans. At the same time they took a call from a bloke who said he’d escaped the flames, but added he was positive a lot of people in his street hadn’t. It wasn’t the words he said, which gave a sense of what had occurred. It was the panic in his voice which was unsettling. 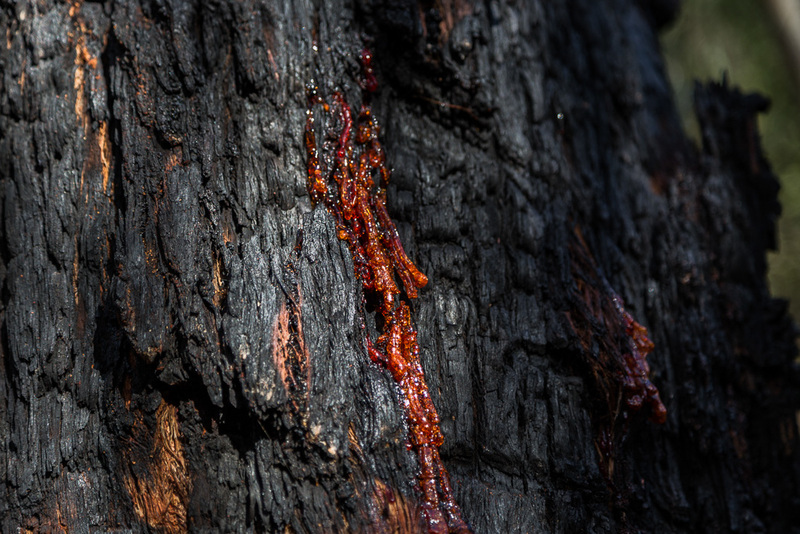 Warnings were still being given on the radio, but the fire had already gone through, razing Kinglake. As the night dragged by, the first reports came in of casualties, with an announcement of at least 30 deaths. I remember thinking how high the toll was then, with no concept it would end up at 173. It was months later before I ventured up there. Roads had reopened, so I thought I’d drive up to get a sense of what occurred. It was an uncomfortable feeling though, and I felt like I was intruding. At times I didn’t want to look out the windows. It was a matter of quick glances and a desire to get out of the place. Tree covered hills, formerly blocking the view beyond the immediate rise, were now laid bare. Burnt stumps as far as the eye could see, with rolling hills visible for miles. It was if I entered an alternate world. The hills were in the same spot, but it wasn’t the same place. The areas I used to walk were wiped out and whilst being rehabilitated, the park was closed for a number of years. I always wanted to return, but had no idea what to expect. Eventually last year it reopened, but it still took a number of months before I made it up there on a cold winters day. What did I find? I planned to park my car in the same area as always. At the entrance next to the Parks Office. At this time of the year though, the entrance gates are closed at 5pm, so not knowing how long this stroll was going to take, I left my car outside and walked in. Immediately inside the entrance was the office building, but I knew it had been razed. I’m not sure why, but I assumed something else had been built in its place, so I was surprised to see an empty block of land where it once stood. Deciding to walk clockwise, I headed off along a path with my first stop being Mount Sugarloaf. 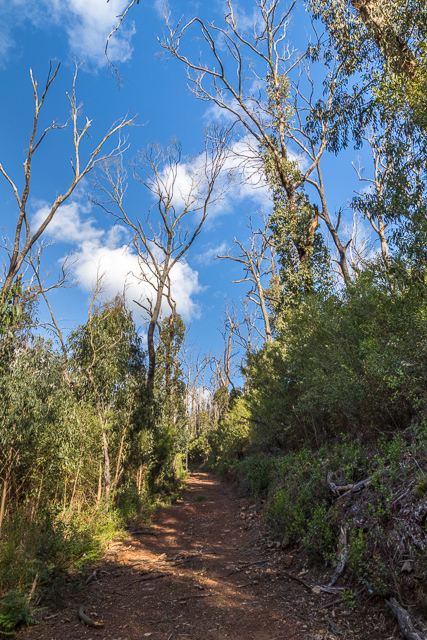 There’s no great climbing involved to get there, so it was easy going along a winding path amongst fire regrowth. 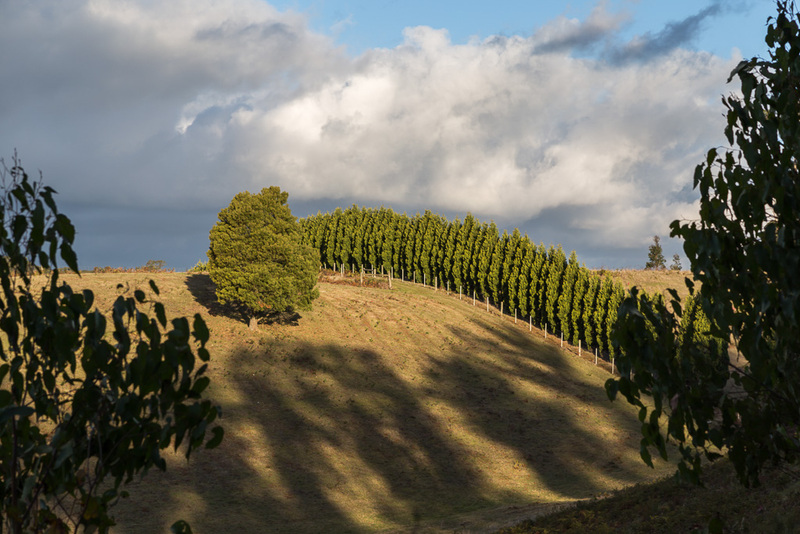 Thick walls of green saplings hugged the track, as it gently rose to the flat peak. I crossed the road within the park and the track brought me to an elevated spot, so I could see through many bare trees which remain. 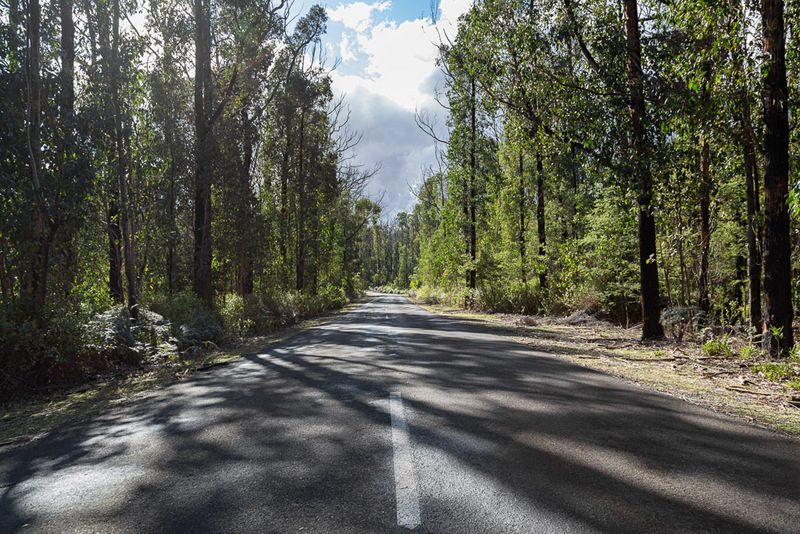 …before leaving and walking along the road towards the track which would lead me down towards Running Creek. …and enjoyed the weak winter sun. Leaving the bitumen, the track was as I remember it. A fairly steep drop down the sides of Mt Sugarloaf. 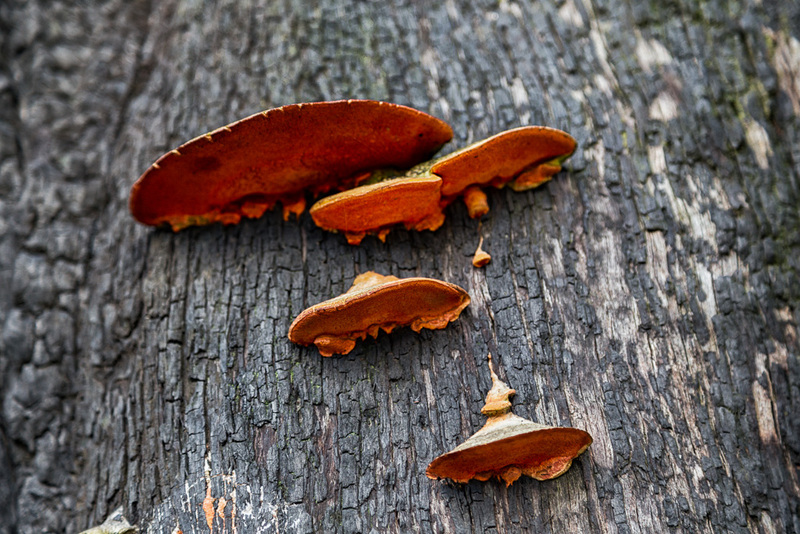 Amongst the saplings, I found few photo opportunities, although these fungi on a burnt tree trunk were colourful. …and the track sits above, creating a level surface. In the past I’d come across the odd Park vehicle out on the track. It didn’t hinder the isolating feeling though, but I didn’t feel that any more with the wide, flat surface. 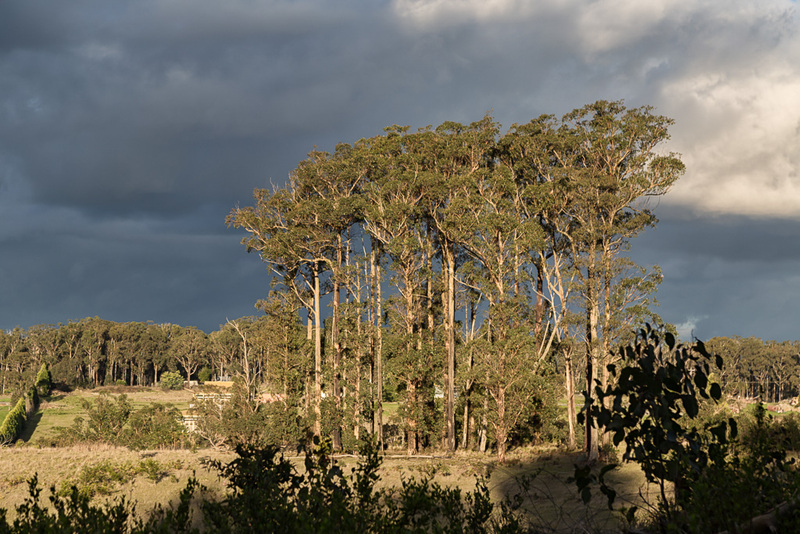 …whilst taking photos of stark, white eucalypt trees, as they towered above the green regrowth. 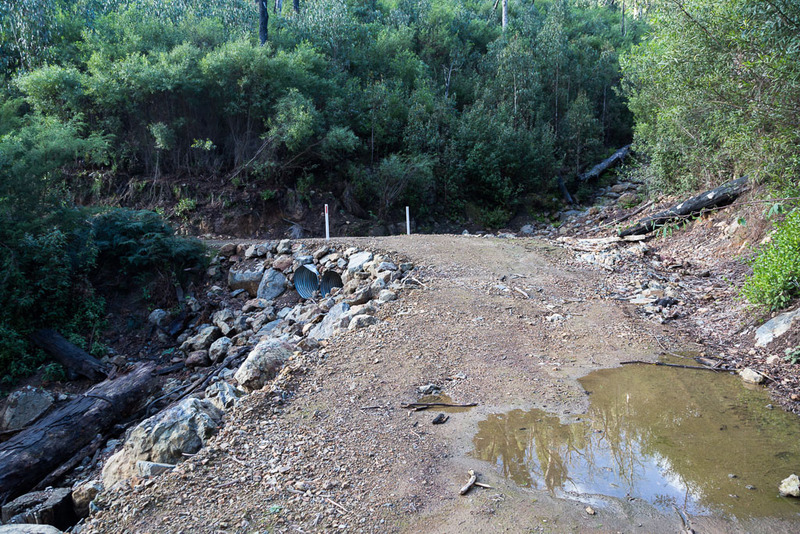 …before the track finally levelled off at Running Creek. The ferny areas, which had the quaint names of Ferny Nook and Hazel Glade were long gone. A few ferns were growing again, but I wonder if they will be as spectacular as they were in the past? I took a few photos near the creek, but frankly, the results were average, so you miss out on the water. The track doesn’t linger at the creek, as it almost immediately begins to climb again on the way to Masons Falls. I trudged upwards, before the incline faded, as it neared the waterfall. Here, there’s certainly been some changes. 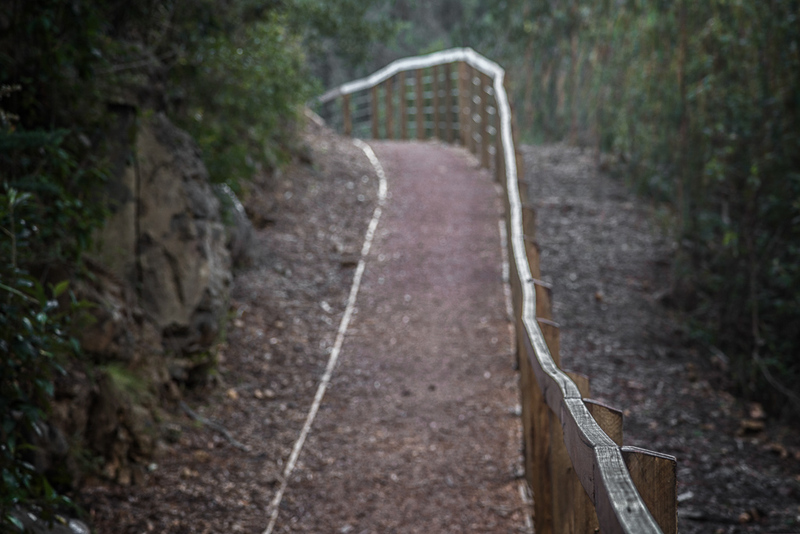 A huge deck has been built, providing a vast lookout towards the falls. Water was flowing quite steadily, but I must admit, I’d lost my mojo a bit. I’d like to have created some slow shutter speed shots, but without the tripod, I just took standard tourist photos instead. 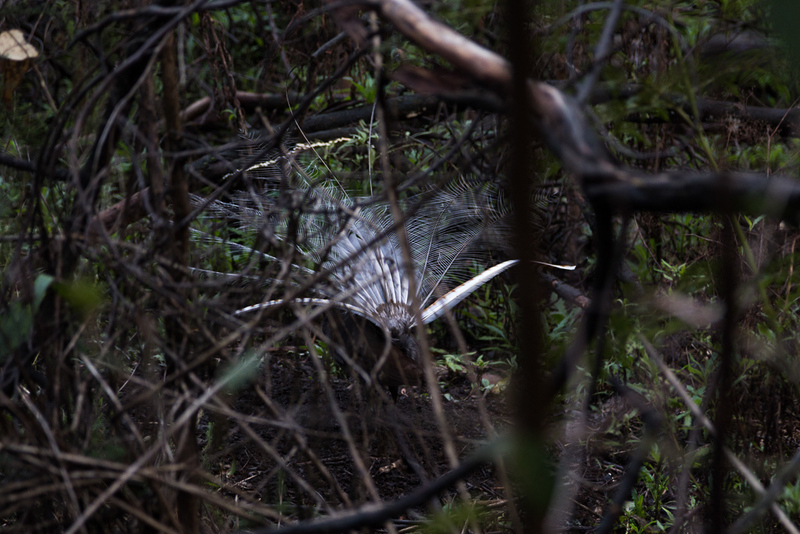 …but, I could get no closer than this, as he spotted me and took off into the bush. I must say though, they’re certainly a welcoming sight in an area that’s slowly coming back to life. Reaching the picnic area, I was amazed at the amount of work which had been undertaken. Huge covered areas with BBQ’s have been constructed. On this occasion, it was deserted and although I took a few photos, there’s no need to show them. I’m sure you know what a outdoor BBQ looks like? …following an incline, which ended up hugging the park boundary. 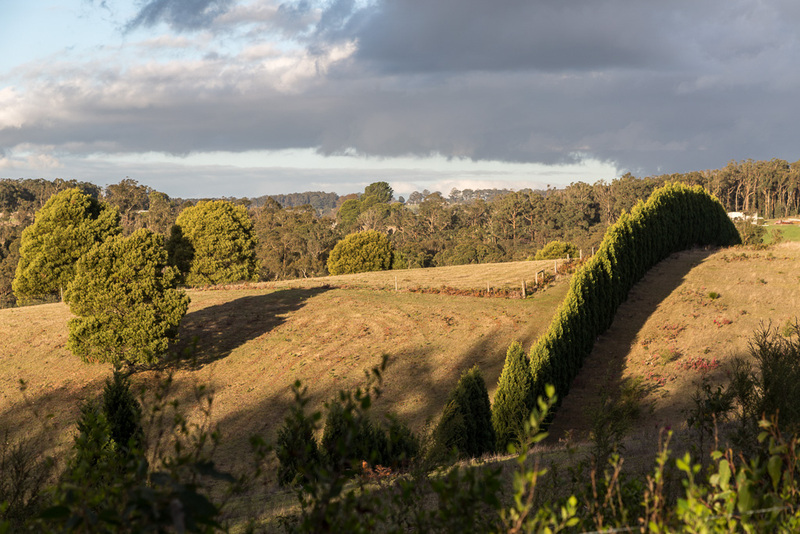 Paddocks, lit by the golden glow of the late afternoon sun, sat to one side. 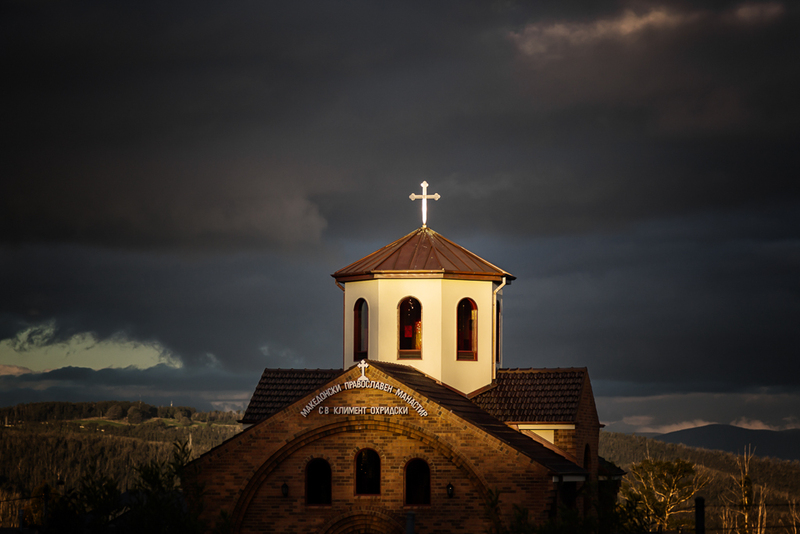 …which contrasted with dark clouds behind. I passed a house, right on the park boundary and waved at the owner who was gardening at the time. In the end, I’d had been lucky with the weather, having been only slightly dampened by showers at the start. The advantage of the rain though, was I could get some nice reflections in puddles on the track, whilst the light was fading. Finally near the end, I did spot one companion who was perfectly positioned for my last photo of the walk. Then I was back at the car and done for the day. So, that was that. I’d finally returned, but there had been an off-kilter feeling for the day. Everything was in the same place, but it was like an alternate world. All of it was familiar, but at the same time, conflicting as well. I left and haven’t been back since. Maybe I’ll head up to Masons Falls again one day and get those shots of the falling water, which I wanted during this trip…? Many of your posts make me laugh out loud. This one brought tears. It was a beautifully written account, Greg. I imagine it was difficult to write because of some of the emotions it evoked? I hope that one day you are able to return and feel more of a sense of peace. Thank you. Wow; an account not often depicted. Hearing the toll written like this made it even more powerful than hearing at the time. Thanks Greg for honouring this tragedy so beautifully. Beautifully written Greg. Black Saturday is a day I think most Victorians have vivid memories of. I remember we were having friends over for a backyard fire that day. The fire part was canceled for obvious reasons but our friends still came round. We stayed inside trying to keep as cool as possible. To open a door was like opening a furnace. Safe in suburbia we became more and more numb with disbelief as the day unfolded and the stories of unthinkable tragedies rolled on. It was awful to think we had wanted a fire on a day so many people lost lives, loved ones and homes to fire. It is great though a few years on to see the bush regenerating through the scars. A sober reminder of the amazing country / state we live in. 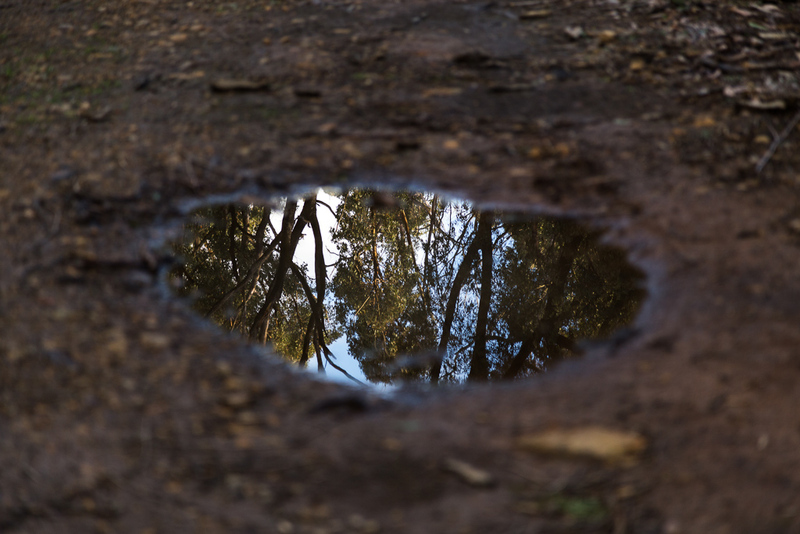 On a different note – loved the puddle pic. I love photography but haven't thought to do that myself. Forgive me if I pinch that one? Hi Jane. Thanks! 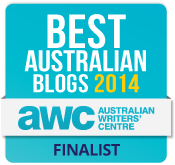 I decided to write something a little different, as I'd been a bit too predictable lately. There was also a weird vibe up there which I can't really describe, but it certainly wouldn't lead to a post with jokes! I'm okay with it though, as I was just a visitor to the area. I can't imagine what it would have been like for the people who lived through it and have decided to stay. Thanks T. Glad you enjoyed it, even though it was a little sombre! Thanks for your kind words! I still can't get my head around the amount of loss that fire caused. To think I used to go up to Kinglake in the middle of summer and not even think about the risk of fire. Now, I'm careful of where I walk during the hot weather. I wrote it as a personal reflection of a long time visitor and I wasn't sure how it would be received. In the end I'm quite glad the way the post turned out. Hi Mandy, thanks for your comment and I'm glad you liked it. Yes, I think everyone has their own personal thoughts about the fires and this post was just a reflection of mine. Still seems unbelievable what happened. It certainly changed my mind about fires and has spooked me about going for walks on hot days in the bush. The speed of these fires were astonishing and to think people enacted fire plans as they were taught, but that didn't mean anything with something as ferocious as that. The thing that bothers me is it will happen again somewhere at some time. Pretty sobering stuff! I've got a worse story about wanting a fire that day. I remember thinking it was a perfect day to wash all the bedding and woolen mattress bed spread. Pretty absurd in hindsight. Yes, there's no problem about the regeneration. As long as there's not another fire for quite a few years yet. I'd love those towering ferny gullies to return to how they were. I've no idea how long that would take though. Feel free to use the puddle method! I'm crazy on water reflections and this one just happened to be perfect with the dark ground and mirror image. Hey Greg, greetings from frozen Upstate New York, a cultural and climatic lightyear away from the sunbaked Australia you describe here. 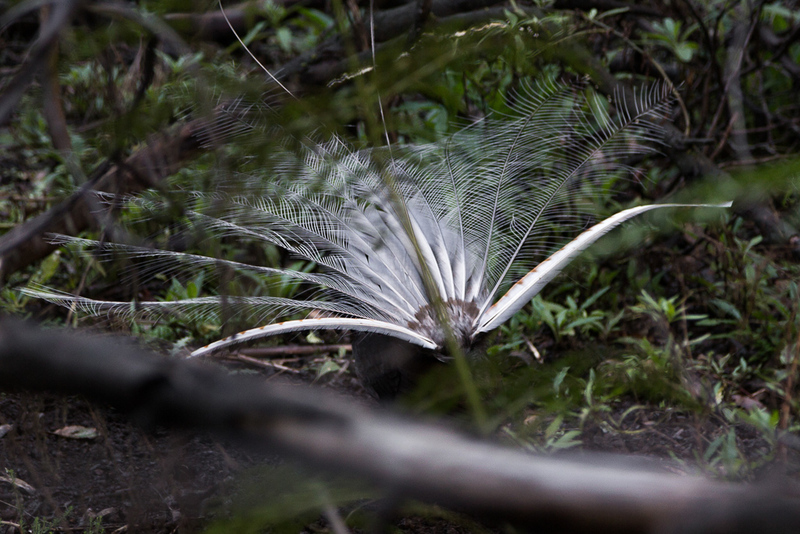 Enjoyed the post, particularly the backstory – and the glimpse of lyrebird in the forest, a much closer look at the wild variety than most walkers are granted, myself included. Hope the neck news is good news and that you get out again soon into the (extremely) summery outdoors! I only did this walk for the first time last weekend. While i noted the new buildings and regrowth, I didn't have this historic background. Good stuff. Goat, I looked at your pictures of the snow and wished I was face down in the stuff with my shirt off. This particular summer is getting on my nerves 🙂 I think my main beef is whenever it's warm, it's always above 35C. Condemns one to just spending the day hiding from burning rays. Neck? Mm… Jury is still out on that one. I might have to reconsider a few things in relation to pack weight if I'm going to attempt anything over a few days. Wait and see! Yeah, the section which used to run alongside Running Creek was spectacular. There were even some old moss covered wooden benches in each fern covered spot. Was a great spot to relax for a half hour or so. It'll come back again one day. I hope! Thanks. I'm hoping to walk this beloved track tomorrow. I used to walk it every Sunday for a few years and lived in one of the homes backing onto the park until it was destroyed on Feb 7 2009. The track looks so different in your photos and descriptions to the intimate, almost secret, world I loved. I'll be better prepared now. Might report in afterwards. Hope it goes well for you. Oh, it's nothing like it was pre-fires. I didn't expect it to either, but it was hard to imagine what it was compared to what it is now. The track and hills are in the same spot, but it's a different world. Those huge, towering ferns which used to be down at Ferny Nook and Ferny Glade will take decades to return. I remember walking there during rain and water would cascade across the track in parts. That'll never happen again, as there are huge pipes in those spots which funnel the water under the track now. It really is surreal. I too am a hiker in this area each year. Am leading a group tomorrow up there. The vista at Masons Falls , which requires off track hiking is worthy. Several years ago our group was on the west side of the creek bed below the Falls. We had Ben hiking three hours in winter rain. Stopped for lunch in the rain. The group decided to go back to the picnic ground curtailing the outing. As the group leader I took off my pack and waded out into the stream. In summer you can jump across it. That day it was 4 metres in width, and running fast. My efforts proved we could cross, though it was a waist height at one spot. We formed a line and passed our packs across to the other side. Then crossed one at a time. Canadian Greg was the last to cross over, I stood in the centre of the stream to assist each chap in turn. Well Greg had a small slip/ stumble as he reached me. I grabbed him by his jacket. Together we made it over….though at one point it was up to our chest. To my surprise i was no wetter in that running stream than I had been before. Post script: I now carry a rope for river crossings. The name of that flow of water is Running Creek. 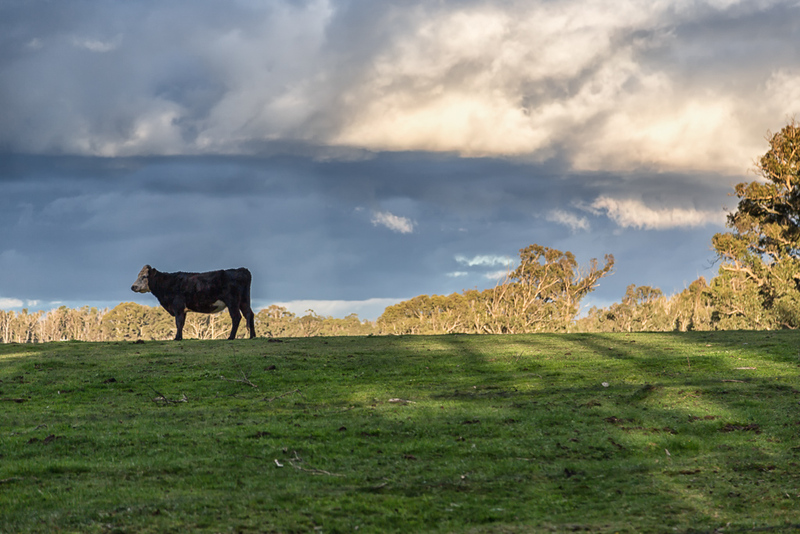 A useful map to buy is “Outdoor Leisure Map KINGLAKE national park. Mine was purchased at Melbourne Map Centre, Malvern East. Grid intersection F9 is the location I am talking about. As you can see, it’s been quite a while since I have hiked here (2014), and due to work restraints (but more due to laziness…) it’s been a while since I have done a decent hike anywhere. I’m working on getting off my blot and getting fit again so I can get back into some serious hiking. I miss it badly and reading through some of your walks again has fired me up. Keep up the great work and keep those posts coming, they are a treat to read! Hi Greg. I’ve been up and done the circuit this morning. 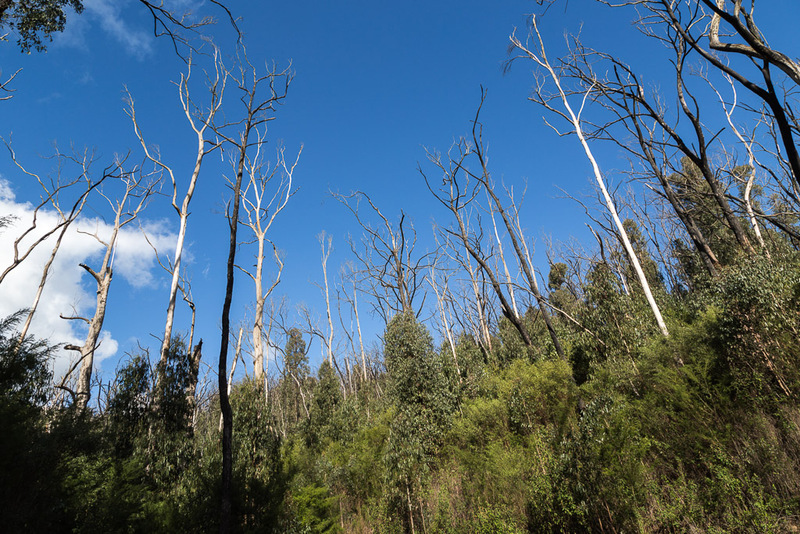 Only driven through the kinglake area in recent years and seen the “stick forest” of burned trees. 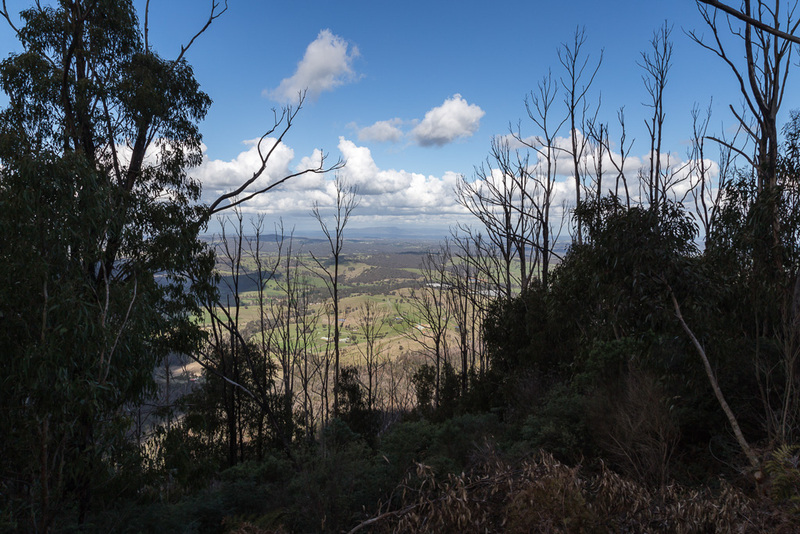 But today, walking down along Running Creek and looking up the side of mounts around you could see, 9 years on from the fire, the foliage taking over. In some places it had reached the top…”the light” had gotten in. Ferny nook and Hazel glade have regrown. Well worth a return visit. Just a quick one on some of the later shots in the post, where did you take them from? I am assuming on the ridge leading to the sugar loaf car park looking east (and using a monster lens). Okay, that sounds like a pretty good recovery. I haven’t been there since I wrote this post, so it’s nice to hear there’s been a change in the five years. 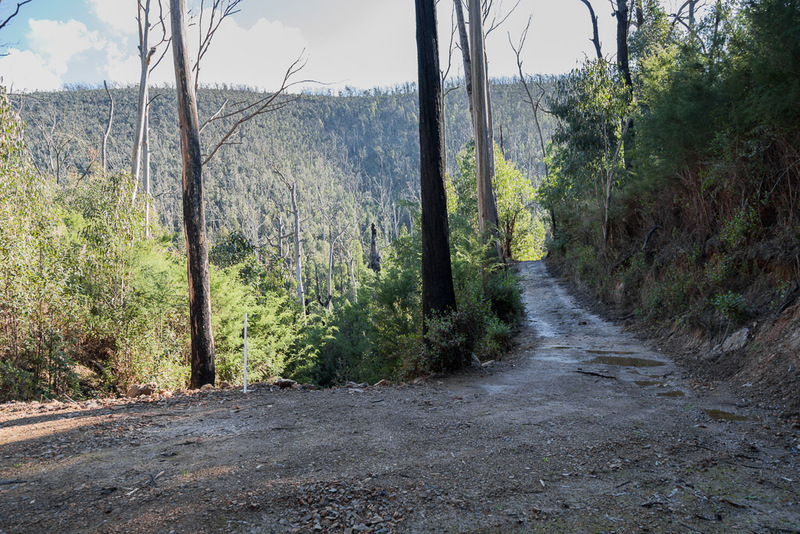 A couple of weeks ago I did the Silver Creek Circuit in Kinglake. Maybe I should have redone this walk instead!